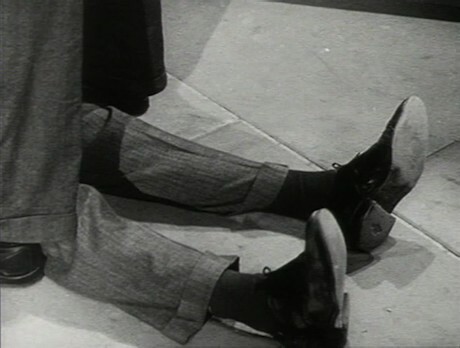 Cloak and Dagger (1946), the film featuring my favourite on-screen fight scene of all time was recently shown on UK television. 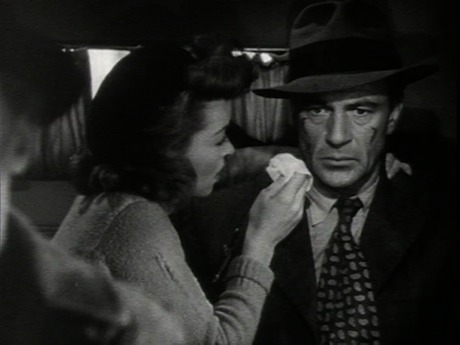 Directed by Fritz Lang, the film tells the story of mild-mannered nuclear scientist Professor Alvah Jesper, played by Gary Cooper, as he is drawn into a chaotic secret operation in Nazi-occupied Europe, and comes to realise playing at being a spy has a terrible cost. 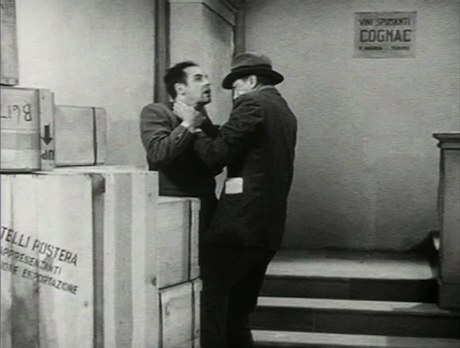 In this scene the Professor must fight for his life against a knife-wielding Italian fascist. The violence is brutal, with a real sense of desperation and growing horror as the victim realises his fate. The sounds of the fight play out against a soundtrack of music from outside in the street, rather than using incidental music to ramp up the tension, and the scene is all the more tense because of it. 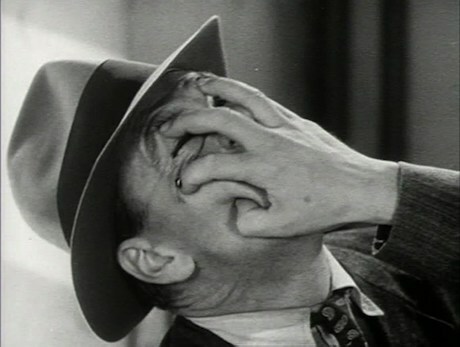 The final frame shown above of Cooper's face after he has escaped is a mask of horror and shock at what he has done, and marks the end of his transformation from gung-ho American amateur to embittered partisan.